Every year MIT’s Technology Review comes out with an annual list of awardees, TR35. These are individuals who have broken new ground in the field they are working on be it genomics or semi-conductor and most importantly they are under 35 years of age. This list is very well respected among the scientific community, and the awardees are guaranteed their fifteen minutes of fame almost instantly. The list that had come out in 2006, was a good for one India, as there were close to 6 awardees in that list of Indian origin. Little wonder, the Indian press back home was going gaga over the same. It was then, that I decided to profile these awardees and their work for Dataquest. Over the next few months, I was poring over literature on how a chip is designed or the double helix of the DNA strand, in my quest to understand what exactly was the work these genuises had done. Talking to them was also a high-point, in the sense a few were not so articulate while a couple of them could talk the whole day excitedly about their work. For me personally this was a most satisfying project, as it coaxed me to understand newer things and then present them in a fashion, which was understandable and more importantly readable. I love the series for the sheer challenge it presented to me as a journalist. 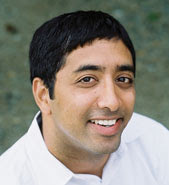 So, here is the first part of the 6 series, a profile of Jay Shendure from Harvard Medical School and his work in the field of genomics. Jay Shendure, TR35 Award winner, is taking the world of genomics by storm with his innovations. Read on for more. Ever since the dawn of human civilization, man has been obsessed with solving riddles, be it physical or meta-physical. Homo sapiens gained considerable success in the study of abstract, starting from Socrates to Freud and further. It was the physical, where they lacked. The mysteries of the cosmos were greatly explored while the origins of mankind, religiously ignored. It took a British naturalist traveling on liner named Beagle in the nineteenth century to bring the focus back on the self. Charles Darwin’s publication of ‘The Origin of Species’ completely revolutionized the way man thought about himself and others. Around the same time frame, an A ustrian abbot Gregor Johann Mendel experimented with pea plants and came up with the law of inheritance, what we refer to as genetics in modern day. This was the beginnings of the study of genetics. Were we to list down the greatest achievements of the last century, the unraveling of the human genome would certainly rank in the top ten. And in the current century, it will definitely ascend further up. The day is not far, when people will not have to suffer from ailments they inherited from their parents. 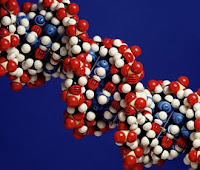 The recently concluded Human Genome Project (HGP) was a landmark in this regard. The goal of HGP was to uncover all 3 million base pairs in the human genome, as well as all the genes, with minimal error rate. There are approximately 30,000 genes in the human genome. These genes are more or less responsible for various traits, right from the color of our pupils to our susceptibility to different disease. The main purpose behind HGP is to develop faster and more efficient methods of DNA sequencing and sequence analysis. This will lead to radical advances in the field of medicine and biotechnology. This is where Jay Shendure, a researcher at the Harvard Medical School, comes into the picture. Shendure and his fellow researchers have discovered a novel way to sequence DNA. Going by the traditional method, it takes a few months and a few million dollars to decode a DNA. According to estimates, the HGP was worth anything between $300-$500 million. Even if DNA sequencing was to cost a few millions, it would be very much out of the reach of much of mankind. “DNA sequence constitutes the blue print for living organisms, analogous to computer code. DNA sequencing has been performed by the same method – Sanger sequencing, for about 30 years. The cost has followed an exponential drop analogous to Moore’s law for semiconductor transistors, but the fundamental method has remained the same. In the past few years, it has been increasingly recognized that this curve cannot continue without substantially rethinking the way we sequence DNA,” says Shendure. Thus, he came up with a revolutionary technique based on polony sequencing. Using off-the-shelf parts, he was quite successful in sequencing the DNA of a bacterial genome at twenty times the speed and around one-tenth the cost. Not only that, Shendure’s method has been found out to be error-free to a large extent. A company named Applied Biosystems, which is planning to put out a commercial instrument based on the technology in 2007, is making use of the research results. “The long-term goal of our project is to bring the cost down to the point where we could routinely sequence human genomes for on the order of $1000, a price-point that would be compatible with incorporating genome sequencing as a routine component of health care,” he adds. Shendure is quite buoyant that his research will aid in the overall benefit to mankind. “Most of humans share close to 99.9% of genetic data. The difference between you and me is that 0.1%. Once, we are able to decode that, my medical conditions will be treated differently from anyone else’s,” he says. Most of the diseases might also cease to exist in the future, feels Shendure. According to him, one would be able to study why a certain race of people are susceptible to certain diseases and others are not. “It could very well boil down to the genomic level,” he says. But there are other concerns as well. The DNA sequencing could be used as a tool for racial discrimination, or even used for creation of ‘bio-technological’ weapons that target certain weak points. Yet, Shendure is unmoved by such doom-day scenarios. “Every technology has its inherent benefits and its hazards. I am sure with time there will be legislation in place to take care of such things,” he says. as his mother started a programming consulting company in the early eighties. “We had a PC in the house when I was six (1980), and I started programming at a very young age,” he candidly admits. His progression from computer programming to DNA sequencing seems pretty natural to him. “DNA sequence is naturally analogous to computer code two bits (A,G,C,T) instead of one bit (0,1) per unit, but in a broad sense both are doing similar things, i.e., running a device, a computer in the case of code; a biological organism in the case of DNA,” he explains. In the early sixties another Indian had taken the medical world by storm. Hargobind Singh Khorana was awarded the 1968 Nobel Prize in Medicine (together with Robert W. Holley and Marshall Warren Nirenberg) for work on the interpretation of the genetic code and its function in protein synthesis. Some four decades later another scientist of Indian origin seems to be carrying the torch further heights. Shendure in many terms is a heir to the Khorana legacy, and for the sake of mankind, let’s wish his DNA is not disposed to any of diseases, the rest of us are. You have predicted that in the next ten years, biologists will be able to sequence a person’s genome for as much as $1000. Can that happen? Ten years is an educated guess as it’s hard to predict exactly when, but one way another, it will happen. Beyond just the bioinformatics field, I think that as we increasingly understand how our genome sequence defines our disease risks, and if the low cost justifies genome sequencing as a component of health care, this has the potential to revolutionize medicine. We’re still quite a ways off from that point, but it’s worth it to start thinking about it. Do you feel, that high-end research like yours can be done out of India? Your views on innovation in India? For some areas of research (such as mine), a lot of the requisite instrumentation is just incredibly expensive, which raises the question of where that money is going to come from. Public-private partnerships, venture capital, industry-based research programs, etc. are all great ways to bring the requisite resources to bear in terms of obtaining physical capital. International partnerships (between labs in the US and India, for example) will increasingly be critical, and I think that is one area that will get increasing attention in the next few years. One area where India already excels is intellectual capital, both in bioinformatics and information technology in general. As the biological sciences become increasingly data-rich, the equipment will be less important than the ability to analyze the data. So that’s one area where India-based researchers can get ahead with nothing more than a PC and Internet access.